It’s only a matter of time before Demi-Leigh walks down the aisle with America’s famous athlete, so we should start calling her wife now! 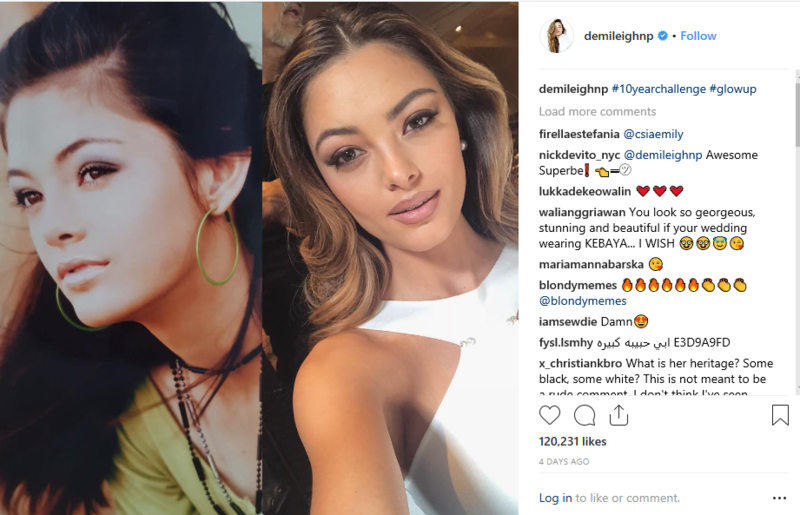 One week after getting engaged, the beauty pageant winner had fun with the internet’s 10 year challenge. She shared a glamorous photo of herself at age 13 and her current age (23) via social media. She proves her natural beauty status with the timeless snapshots. The only major change over the years seems to be make-up. Demi-Leigh and Tim Tebow announced their engagement on January 10, and the world is anxiously waiting on wedding news. Congratulations once again to Demi-Leigh and her husband-to-be! This entry was posted in Entertainment, News and tagged beauty, Demi-Leigh Nel-Peters, Tim Tebow, trending. Bookmark the permalink.